My son has had a long journey in his five years. He was born a month premature and didn’t open up his eyes for his first five days on the earth. Even back then he knew he was sensory overwhelmed with his welcome to the world. Most Moms have babies crying when they make their exit from the spa into the brightness of a hospital OR. Not my son he was sleeping in my OB’s arms as he was brought over the sheet to check his vitals. From that day forward he found his voice and expressed himself fully with the power of his lungs. He was a cuddly baby that never like to be put down to sleep and was rolling back and forth at 4 days old! Then he grew into a bash and crash toddler that scared me with his antics of climbing up a five shelf bookshelf and jumping onto the couch. Now he’s grown up so much I wish time could slow down and I could swaddle that sweet baby he used to be. He’s 5 now and recently diagnosed with autism and co-morbidities to watch out for, and attending kindergarten and I have routine that I do for him in the morning to prepare him for the day. He’s not a morning person after two years with obstructive sleep apnea so every morning is a little more jarring to his central nervous system. We start slow and easy in the morning with the routine of wake up, eat breakfast, get dressed, and get his backpack ready for school. All shown with his visual pictures to keep him on task. He needs to be emotionally and physically regulated with his central nervous system before he steps into his classroom so I have a morning cuddle with him and give him a deep pressure massage to wake up his senses slowly. He then gets fed, dressed, washed, and then coat, shoes, backpack are put on. If he’s feeling antsy I have him jump on his minitramp for 1 minute. That amount of time can balance him out and then crab walks to the door with some heavy work to prepare him for sitting. Now that’s he’s awake and ready to start his day he can become overly stimulated by what he sees around him. I help him focus by putting on his glasses so he can single out each object. His classroom is a busy place so I know this cuts down on all the visual distractions. Noise and commotion are difficult input for my son to process so he has his noise cancelling headphones in his backpack to block out the overstimulation. If he doesn’t wear them he will stim and compete with the noise with his vocal power to cancel out the offending auditory trigger. My son tends to chew on his sleeves, cuffs, collar of his clothes so after he’s dressed I make sure he has his chewlery. He’s a shark and ocean marine life lover so he has his shark on a cord and wears it as a necklace. He doesn’t always like to wear it but I tell him that sharky’s there to help if he feels nervous. It saves his clothes and gives him the sensory input he needs for his low muscle tone in his jaw. He has difficulties with transitions so I make sure that I use visual supports to keep him on task. First we use his visual picture cards so he can see his morning routine. Then I draw them on the white board in a 3 step format of first, then, after. As he completes each task he erases it feeling accomplished and ready to start his day. Each day my son and I will go through the zones of regulation where he will tell me what each colour is to express a feeling or action. When he’s unable to express how he’s feeling verbally he will tell me a colour. Blue is feeling sad or tired. Yellow is feeling scared or nervous. Green is happy and smiling. Red is angry and frustrated. My son enjoys talking so I need to show him how to take turns with having a conversation as his receptive language skills are severe. He can have tunnel vision and want to be the only one talking and expressing his thoughts. I have a Popsicle stick that he coloured with one side is red and the other is green. He holds the stick and when it’s green he’s a go for talking. When it’s red then he has to stop and let someone else talk, namely his teacher. The visuals keep him on track and help with his slower processing time. We all know the adage it takes a village to raise a child. When you have a child with special needs that village grows. Now we prepare for him to be assessed by the school psychologist so he can qualify for an aid in the classroom. It’s not an easy process because sometimes my son doesn’t want to be organized and given direction so it becomes more of a dance. He takes a step and we each take turns leading. One thing I know that everything we do is to prepare him for success in the classroom. 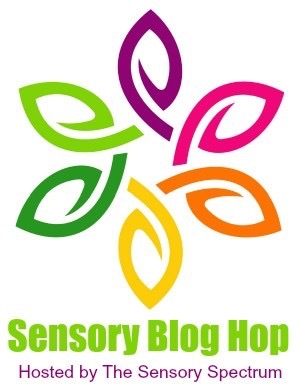 Welcome to the Sensory Blog Hop — a monthlygathering of posts from sensory bloggers hosted by The Sensory Spectrum and The Jenny Evolution . Click on the links below to read stories from other bloggers about what it’s like to have Sensory Processing Disorder and to raise a sensory kiddo! This was a great blog, speaking to the challenges and rewards of motherhood with a special little boy. Everyone should strive to understand what each child needs, to help them be successful in school and in life. Thanks for sharing your story! Some of these tips can even help students who do not have a sensory processing disorder. At a young age sometimes children just don’t know what an appropriate reaction is. Thank you for these tips. I used to chew on my clothes sometimes so I could have used chewlry. God, Jeanine, I take my hat off to you for all the you do for your son. He’s lucky to have a mother such as you. Keep up the great work Jeanine. I have friends and family who’s efforts have made a world of difference to their children who are on the spectrum and are now in their teens. The work is hard, but the payoff is amazing. Wow! I am totally impressed with your detailed understanding of your child’s need. You have everything covered and running on auto drive. How I wish all special needs children got the love and mindfulness that they need. I can imagine that arriving to this point is not a walk in the park but worth all the effort. What a great idea to use colors for behavior modification! As a professional in the field, I am so impressed with your description of dealing with your son! I have taught and trained teachers and parents, but unfortunately, not all of them are able to internalize and apply these, or similar strategies. 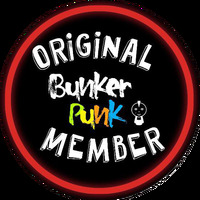 I am very glad I found your blog! The compliment is sincere, but what troubles me lately is that the silly definition “on the spectrum” that appeared about 6 – 7 years ago has morphed into a solid diagnosis ASD which is now equated with Autism. You are doing a phenomenal job with your son; I wish more parents – and teachers! – would learn effective methods and strategies applicable to sensory processing disorders, but I feel that labels are so dangerous! In a way I am glad I am retired and don’t have to fight the labels any more! Believe me I know firsthand how exhausting and often frustrating it is to do what you are doing, but nonetheless, you are doing a great job!